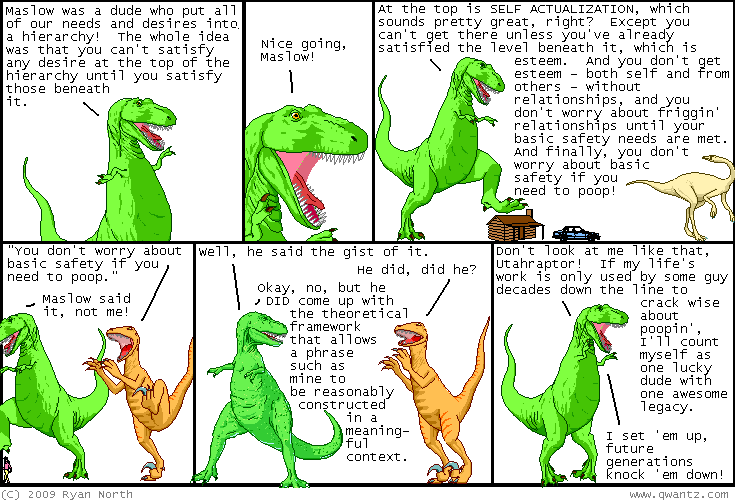 Dinosaur Comics - September 29th, 2009 - awesome fun times! –ARGH! I am getting angry just thinking about it! I call it, "T-Rex's Summer Vacation" and I rate it five out of a possible four "BEST SHIRTS EVER". I hope you guys like it! For the first time ever, it's available as both a shirt, a zip-up hoodie, and a tote bag (my first!). In Ontario you're now charged 5 cents for a plastic bag when you're out shopping, so it is the perfect time to replace those plastic bag with a more environmentally-friendly reusable bag with T-Rex fighting friggin' planes on it. Thanks for supporting me and my dinosaur comics called Dinosaur Comics, everyone!